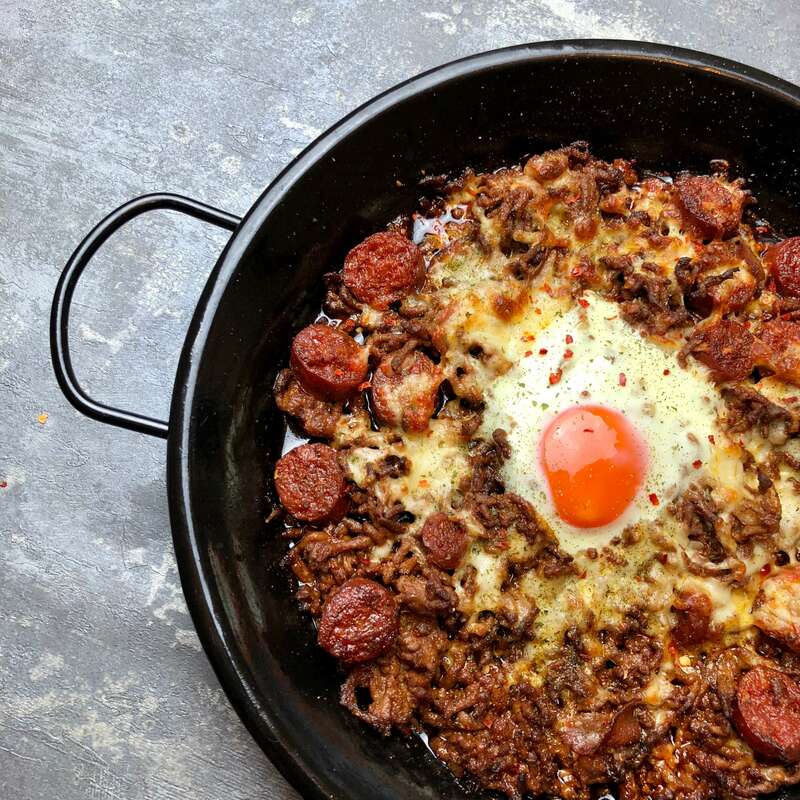 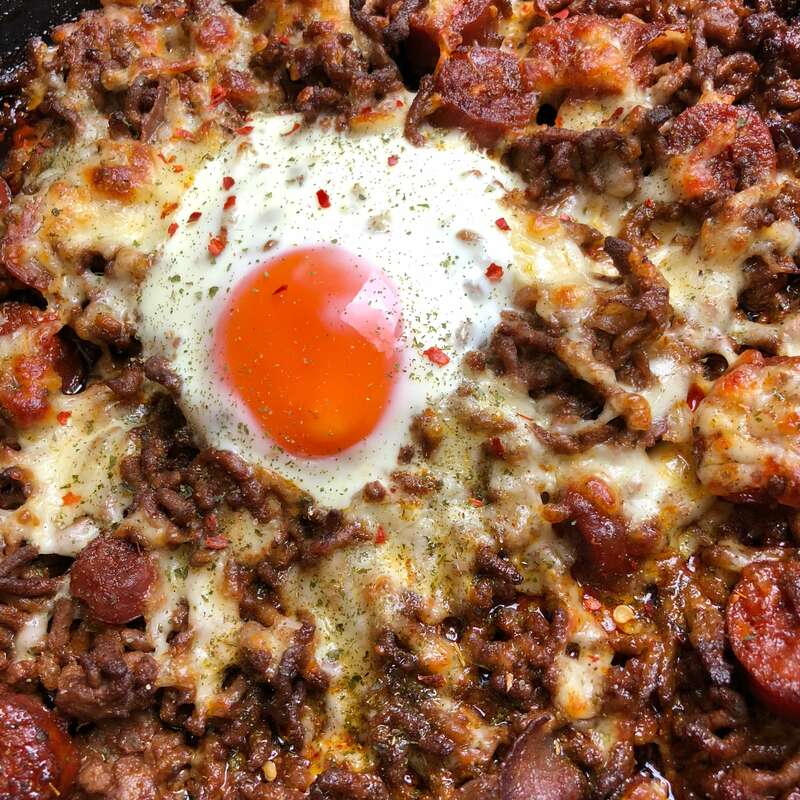 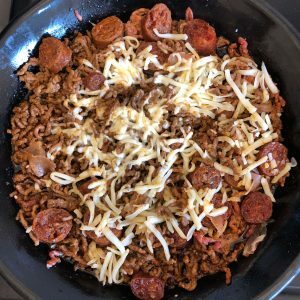 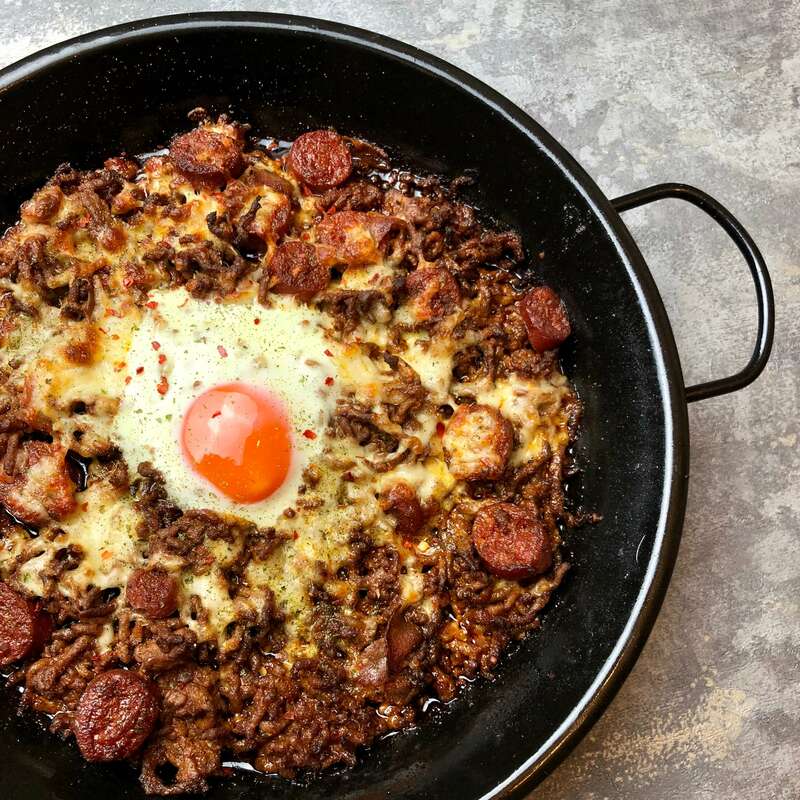 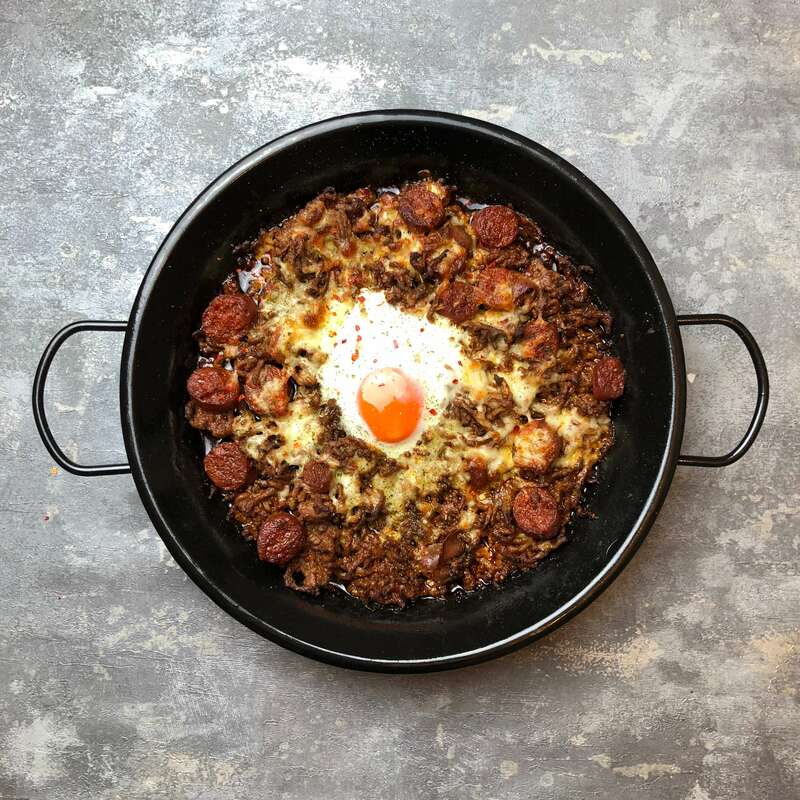 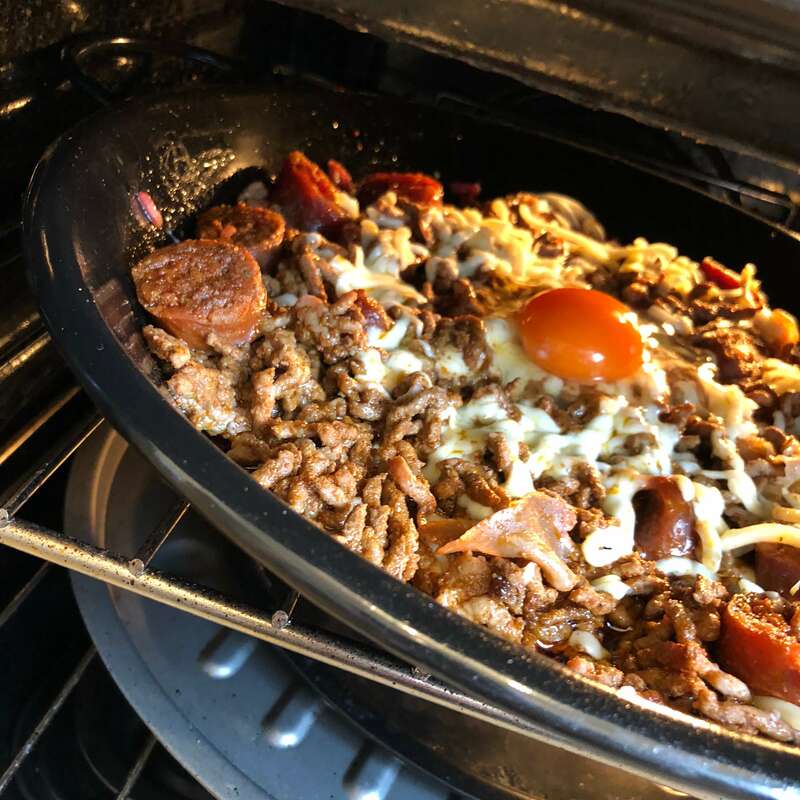 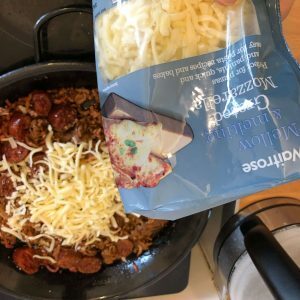 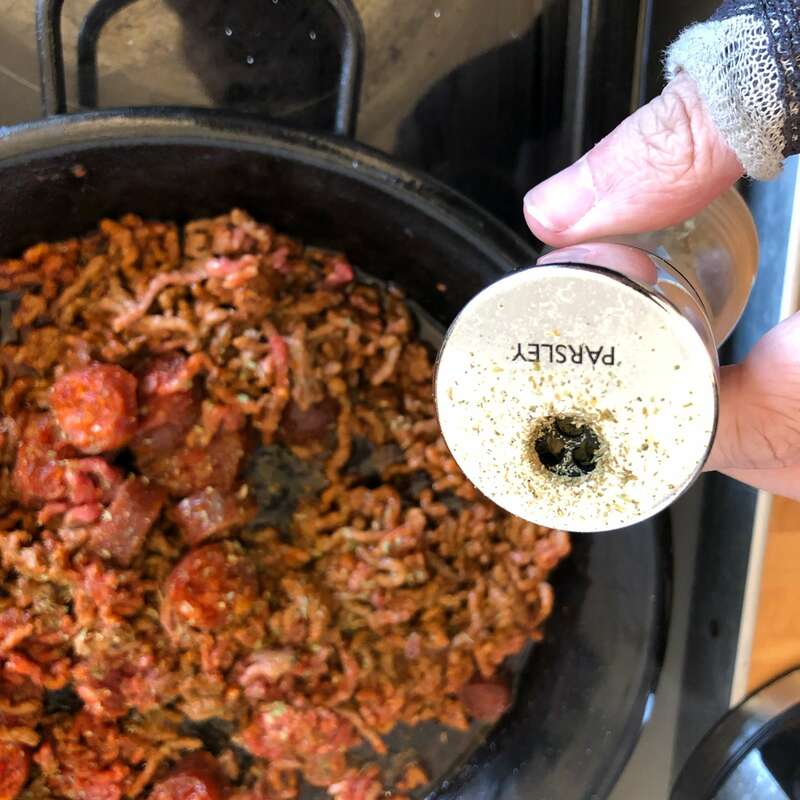 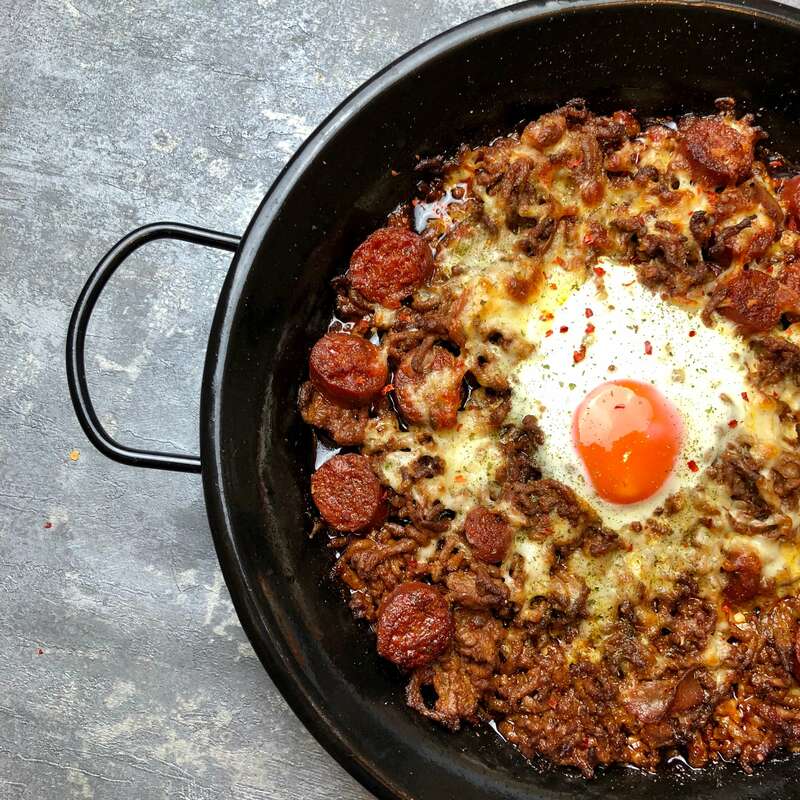 So i’ve invented a new dish which i’ve called carnivores minced beef where i’m basically treating minced meet as a pizza base, this dish has chorizo, pancetta, smoked paprika, egg and mozzarella among other ingredients – doesn’t that sound good? 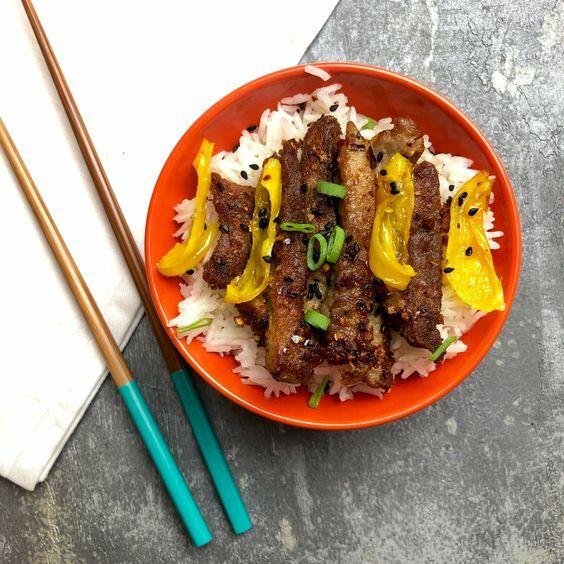 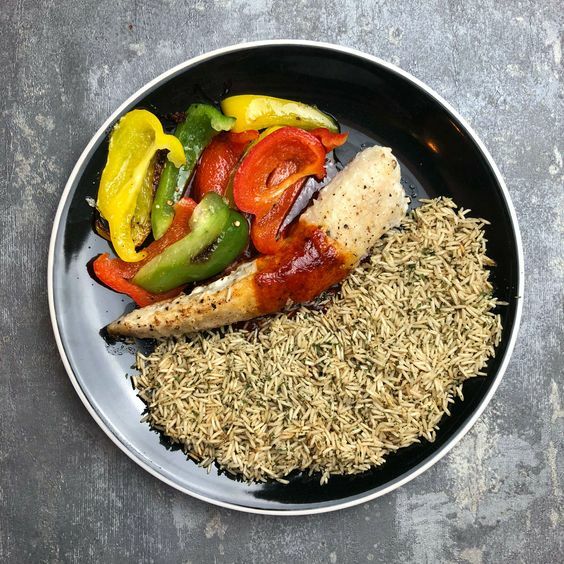 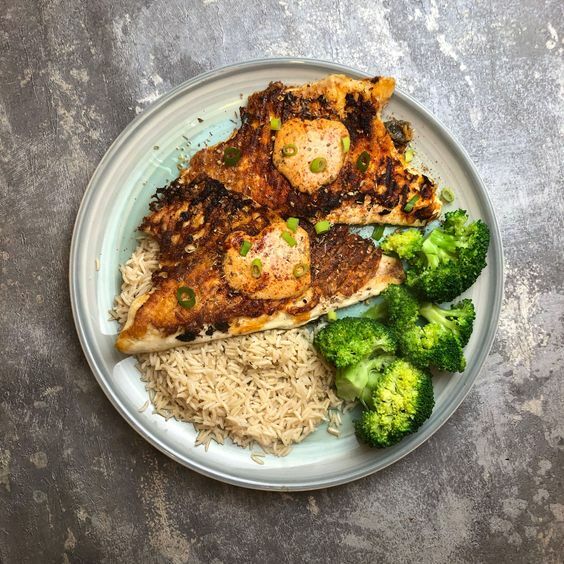 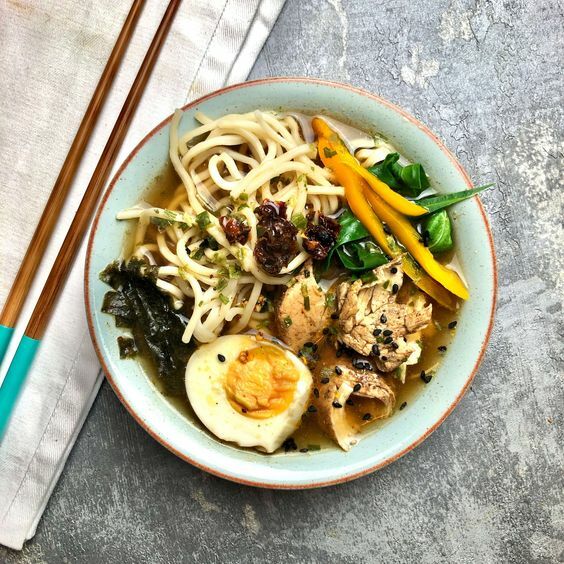 This dish certainly doesn’t win any prices for healthy eating, but we’ve gotta have treats right? 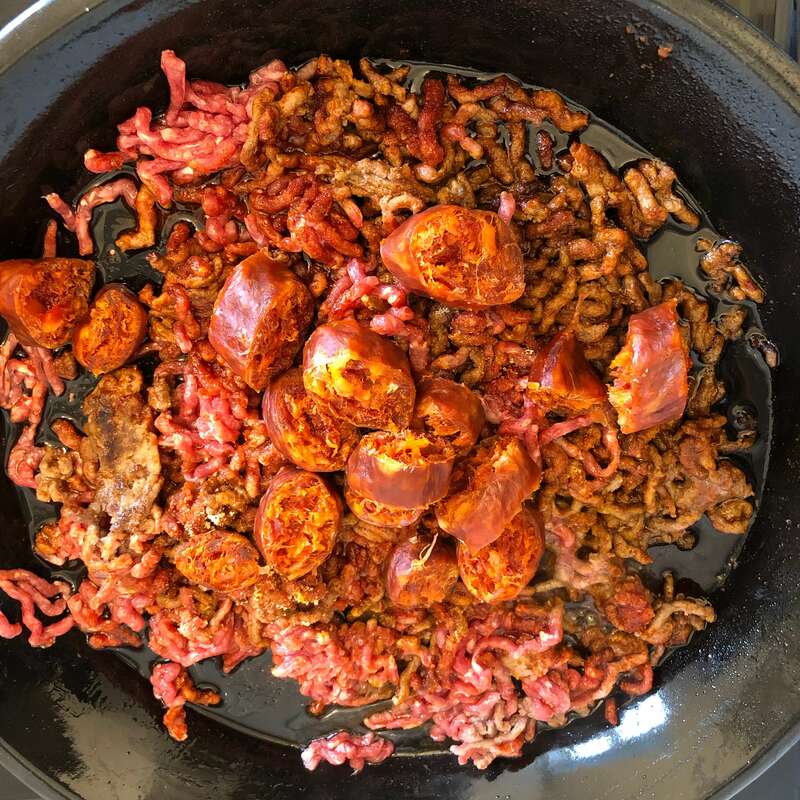 Great i’ve got those ingredients, what do I need to do? 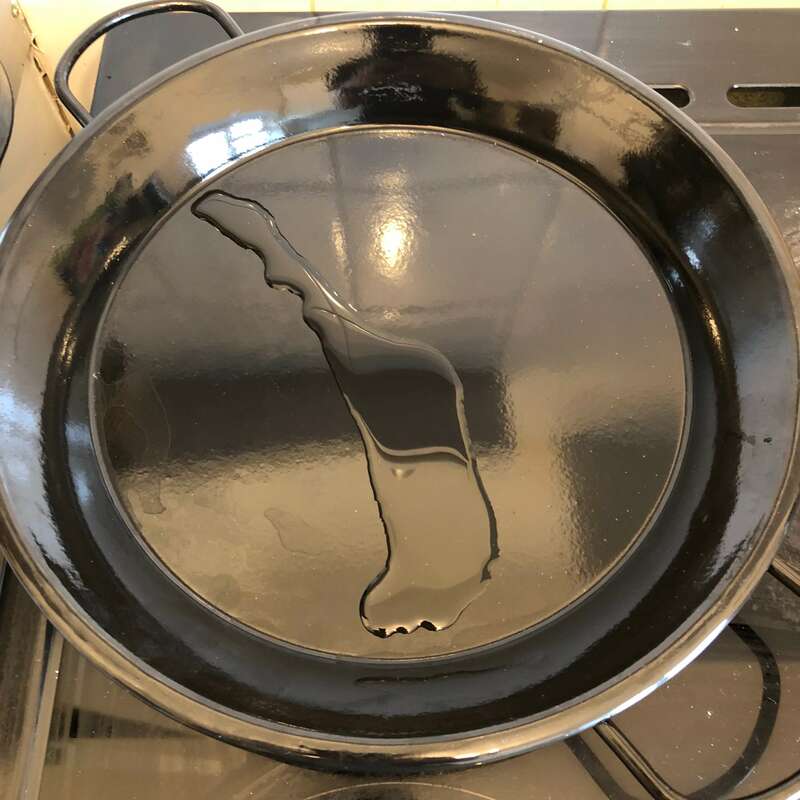 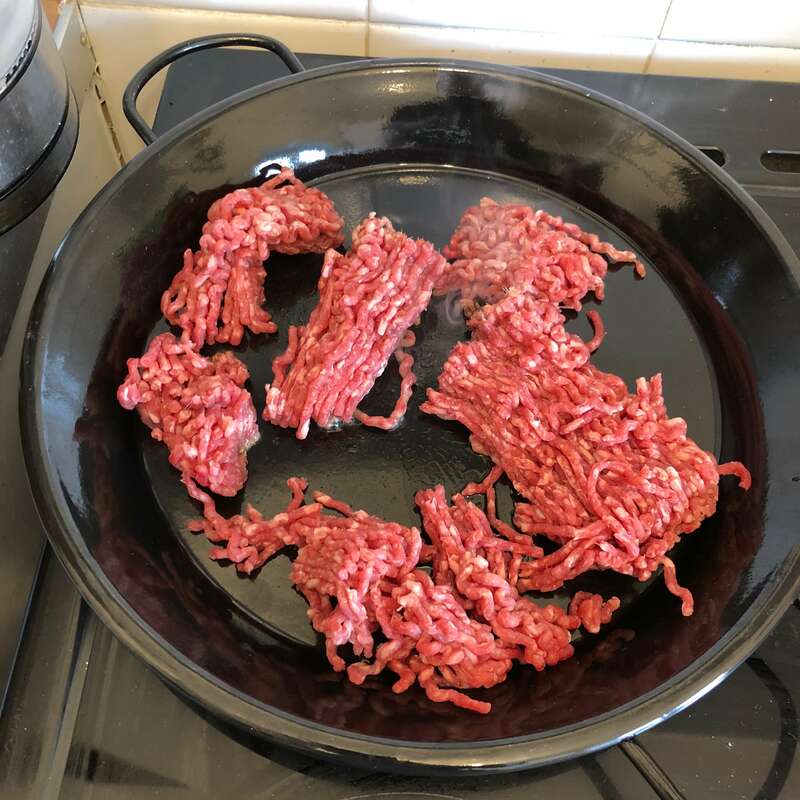 Start by putting you cooking oil on your pan, then add you minced beef and put on a medium high heat, keep cooking while stirring until all minced beef is mostly brown. 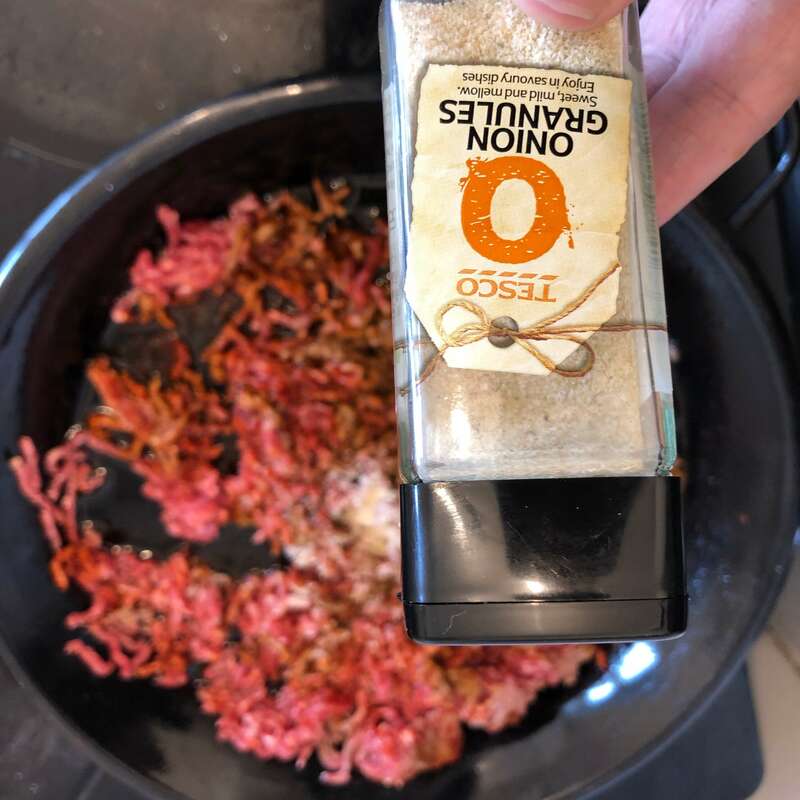 While cooking and stirring add your smoked paprika, garlic powder and onion granules. 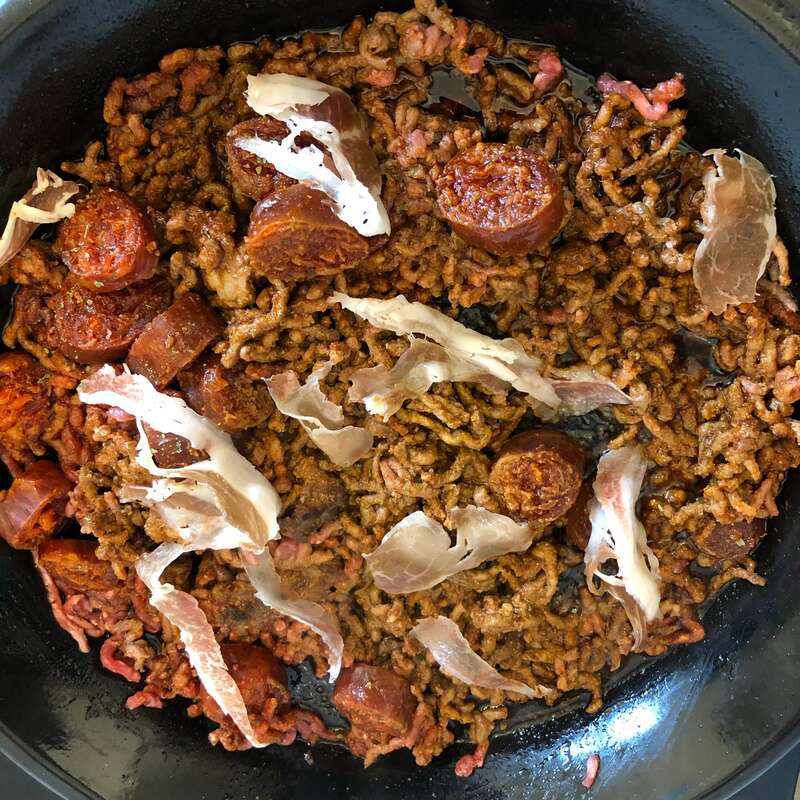 Once the meat is brown add the chorizo, pancetta and parsley, cook for another 3 minutes, keep stirring during this time. 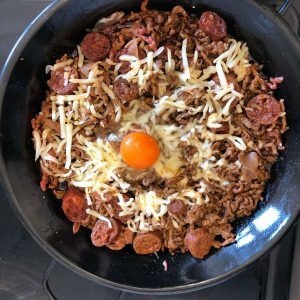 Add your cheese, scatter it around and then crack an egg on top. 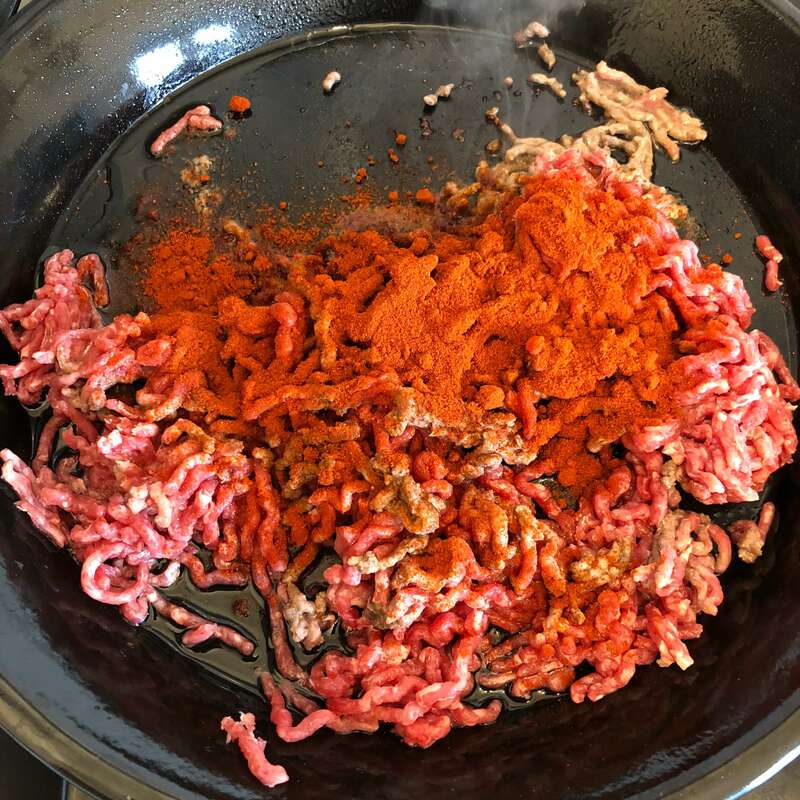 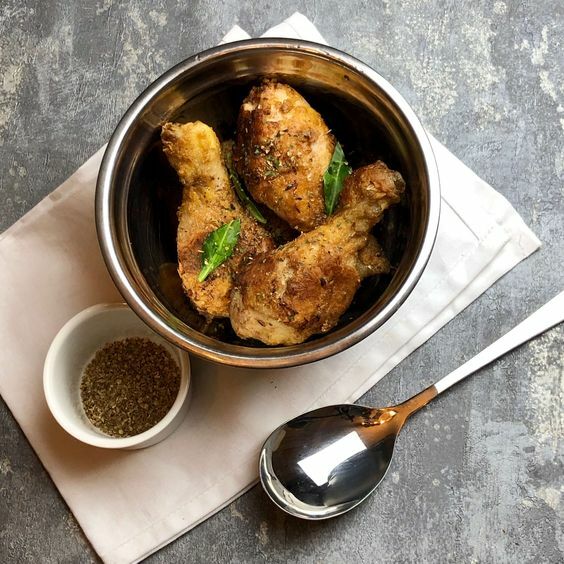 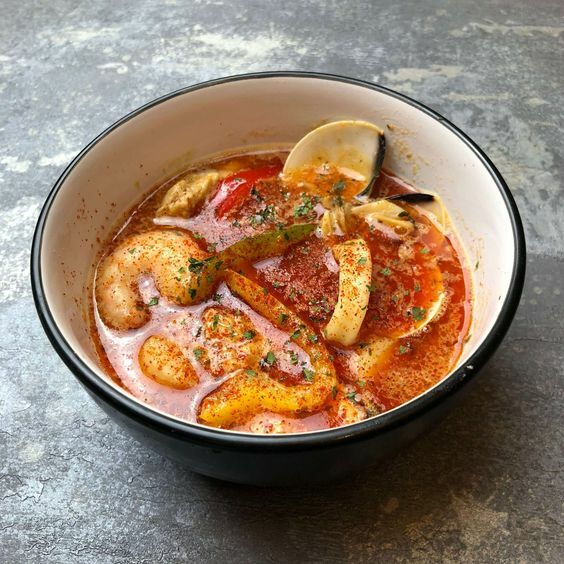 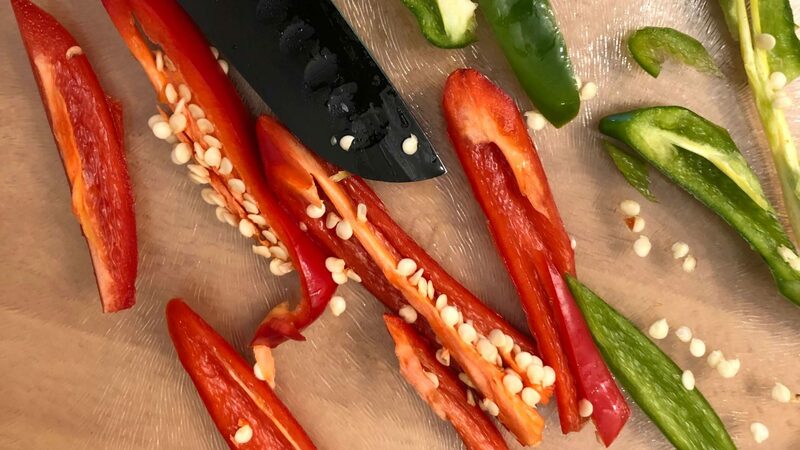 After that time you’re ready to serve and enjoy, feel free to add more parsley or even some chilli flakes on top to garnish.